Valpak of The Big Sky can increase your small business success through targeted direct mail advertising and digital marketing. The Blue Envelope® of coupons provides you with the opportunity to specifically target the neighborhoods you want to reach with your brand message. You get to choose the mailing areas, saving postage and production costs and keeping your ROI healthy. Work with us to develop a tempting offer in your choice of coupon ad insert: cardstock with unique imprinting, circulars, flyers and more options. 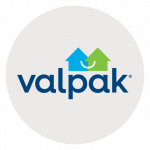 The Valpak brand has been reinvented with the latest in digital marketing tools. Valpak is a Google Premier Partner, nationally recognized for expertise in managing small business advertising. Your team at Valpak of The Big Sky will work with you to create a right-sized online presence optimized for search engines, from business profile pages linked to valpak.com to fully developed responsive websites. Valpak’s comprehensive advertising tracking tools offer you the keys to precise ROI measurement. Call tracking and performance dashboard tools enable you to measure consumer behavior and track the impact of your ad spend every month, so you can adjust your campaigns for the greatest ROI. The sky’s the limit when you work with Valpak of The Big Sky because we offer the versatility you need in a small business advertising agency. Through steady relationship building, we will help you grow your business the way you need. Get effective, dynamic and affordable B2C advertising with Valpak. Contact us today and start seeing results in Missoula, Mineral and Ravalli counties. For specific dates and coverage, contact your Valpak of The Big Sky representative. Valpak of The Big Sky is an independently owned Valpak franchise.